Around the world in 80 days? Visiting all seven continents (or, at least, most of ’em) in a matter of weeks is possible. There are a number of companies that can turn your travel fantasies into reality. Check out our list and start gearing up for your once-in-a-lifetime global tour. TCS World Travel packs a ton into one ultra-luxurious expedition. Departing from Fort Lauderdale, Florida, the route heads to Machu Picchu and Chile. Next up, it’s the Great Barrier Reef and Daintree Rainforest, followed by Angkor Wat, the Taj Mahal and Tanzania for an unforgettable safari. Then it’s off to the Lost City of Petra and Marrakech, before ending in Orlando. Speaking of outrageous experiences...Smithsonian Journeys specializes in tailor-made itineraries to all seven continents. Perspective travelers collaborate with specialists to help craft custom getaways. That could mean sunbathing in Fiji, followed by wildlife peeping in the Galápagos Islands and ice-fishing in Antarctica. Here’s one for the record books: You can actually circle the globe with top National Geographic experts. This Insta-worthy trip spans 12 UNESCO sites, including high-altitude areas like Cusco and natural treasures such as the Serengeti Plain. And if that isn’t enough, you’ll fly in style courtesy of a specially outfitted Boeing 757. How cool is that? Ever dreamed of seeing all the Wonders of the World? Contiki rolls the most epic sights on the planet into one bucket-list excursion filled with unreal photo ops—from the Great Wall of China to Machu Picchu. While you won’t make it to every continent, a pilgrimage like this is sure to fuel your wanderlust. 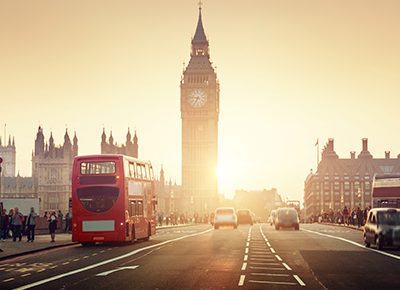 Abercrombie & Kent offers immersive cultural excursions all over the globe. Perhaps most intriguing is the private jet journey. The annual experience (which changes yearly) covers a ton of ground, err, air. On the docket for 2018? Chile, New Zealand, Oman and more. In 2019, travelers can look forward to locales such as Bhutan, Abu Dhabi and Sicily. Each year, intrepid travelers can hop aboard Oceania Cruises for a 180-day voyage on the high seas. Sure, the 2019 itinerary skips Antarctica, Africa and South America (for logistical reasons), but the promise of exploring a whopping 40 countries across four continents is too awesome to pass up. Ready to have your mind blown? In 2020, Silverseas is set to debut the first true round-the-world cruise to all seven continents! The 140-day odyssey will stop at 62 ports in 32 countries—from Fort Lauderdale, Florida, and Rio de Janeiro to Singapore and Mumbai.